So what’s new? Everything. All the cabins, something in each of the public areas, most of the furniture, the onboard technology – and some cool new ideas and touches thrown in. 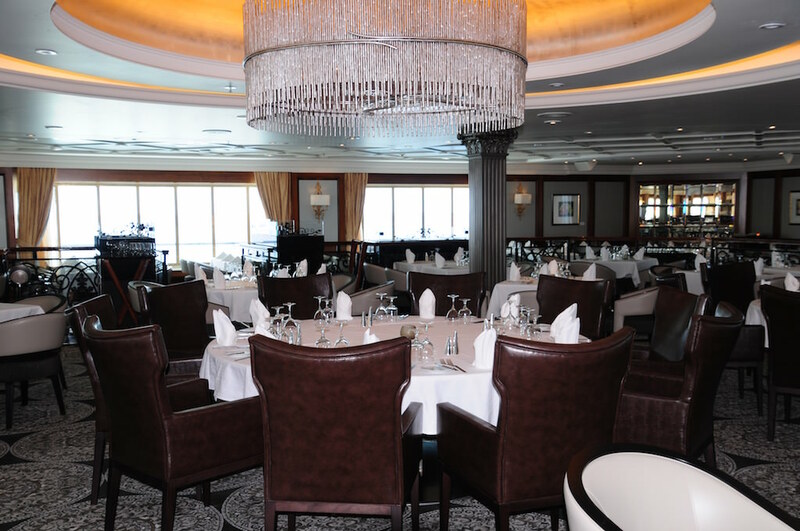 Gone are the dark, dated interiors and orange colors, replaced by shades of cream, stone, slate and granite that reflect natural shades and textures and reinforce Azamara’s emphasis on discovery and the world around us. On deck 10, the former Looking Glass lounge is now the Living Room and it’s gorgeous: quiet, serene and filled with light, great for coffee and reading by day and cocktails and tapas after dark. An exquisite, polished wood table seating up to 10 is used for wine tasting with the sommelier, a new activity for sea days. Décor is cream and beige, with splashes of burgundy in a few pairs of high-backed chairs that you just want to sink into. There are swinging chairs, too, perfect for curling up in. 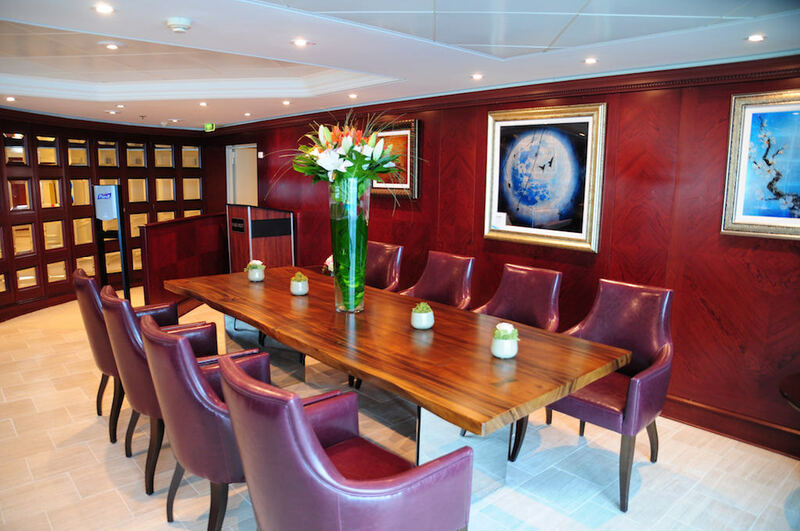 New are tables containing an interactive screen from which you can look at Azamara’s Twitter and Facebook feeds, browse future cruises and best of all, send an e-postcard from a selection of high res photos. 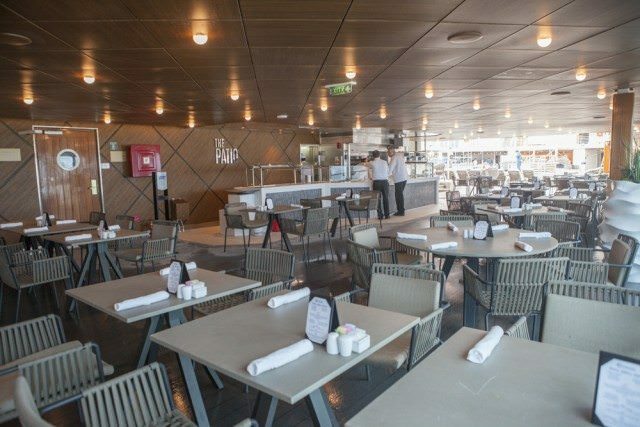 There’s another big change in the Windows Café, with all-new furniture and décor, more tables for two and a tastefully done outdoor area with big, taupe sun umbrellas and a textured granite-and-marble bar. 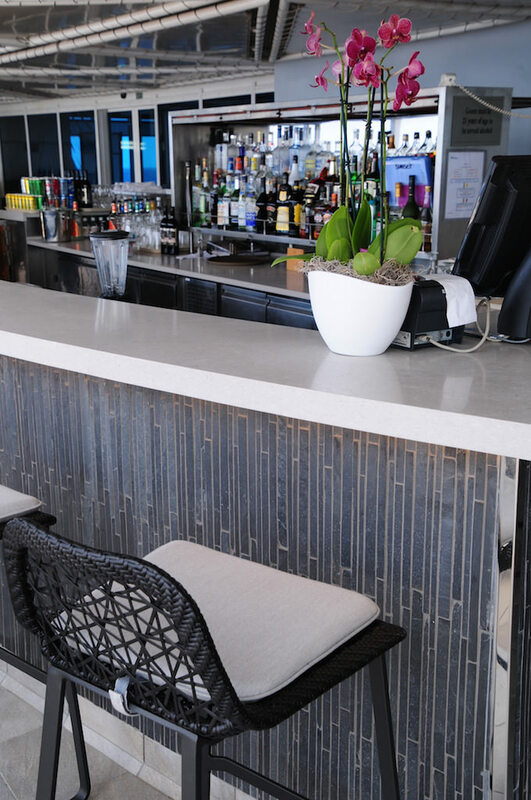 What used to be a pretty standard pool grill is now The Patio, which serves as an upgraded poolside dining area by day, serving burgers and brochettes, and a romantic, al fresco venue by night, with tablecloths and candles and its own grill menu. The officers often dine here. The Windows Café is open till 8.30 now instead of 6 p.m., with themed buffets at dinnertime. 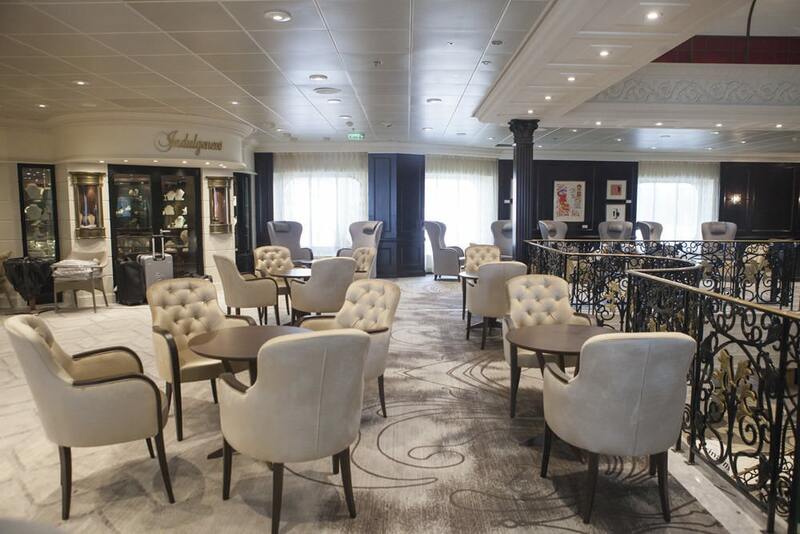 So essentially, this space, together with the main dining room and the two specialty restaurants, Prime C and Aqualina (both with new carpets but nothing else unchanged), means there’s a great deal of dining choice now for a 686-passenger ship. The spa, now called The Sanctum, is brand new. It’s still run by Steiner, but everything has been replaced, with light flooding the whole beauty treatment area and more touchy-feely features like gold chain mesh curtains. The gym next door seems surprisingly popular and the classes, mainly Pilates, spin and stretch, were well attended on my cruise, probably because they’re included in the price. Forward of the spa is a small deck area with loungers reserved for the top suites (although you can buy a day pass if there’s space). The thalassotherapy pool is brand new, filled daily with fresh, filtered seawater. 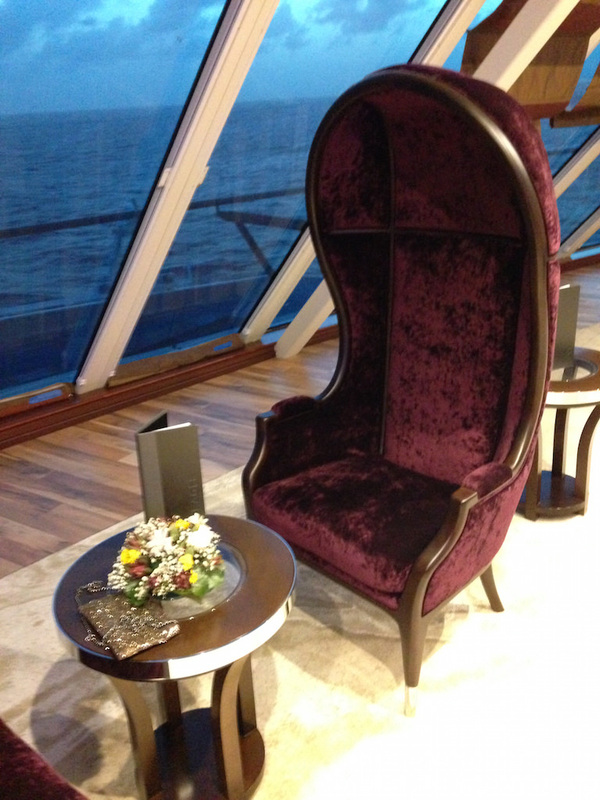 Another recent introduction here is Nights in Private Places, one of Azamara’s experiential offerings, which we tried. What a night! We arrived just after sunset and the whole deck was lit with candles. There was music, champagne, canapés, bathrobes, chocolate-dipped strawberries and a butler to cook dinner on a hot rock grill. The double lounger is made up as a bed and I watched the sun rise over Panama before the butler arrived with breakfast. If you’ve got $395 to spend, it’s an unforgettable night out. Back in the real world, also on deck nine, the entire flooring around the pool has been replaced, now a soothing, warm grey wood-effect. Pool furniture was renewed a year ago and the contemporary-looking loungers with big, padded pillows now match the whole neutral palette of the area. Some are doubles, with rattan shades that match those of the swinging chairs that are dotted around. Overall, the whole look could easily pass as a hip beach club. 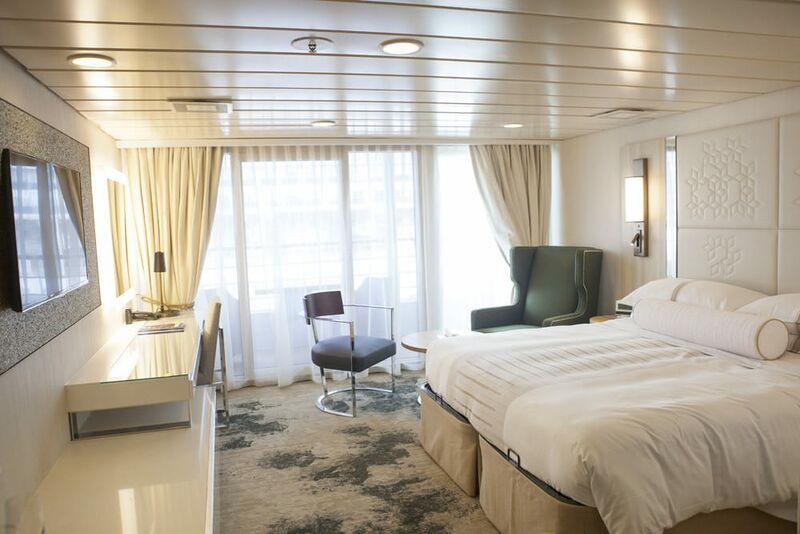 All the cabins have been completely revamped, with new gold-and-white Frette linens, soft, grey-beige carpeting, a cream, leather-effect chair and oatmeal sofa (in the standard balcony cabins), as well as silver walls and an off-white leather-and-glass headboard. The actual layout hasn’t changed, with a decent amount of storage. I particularly like the bathrooms, with gold, almost suede-effect walls and grey floor tiles with a wooden veneer. Yes, there are a lot of neutrals, but the different textures and splashes of color make the ship far from bland. There are two new spa suites where the E-Connections internet café use to be. These come with various spa privileges, the Nights in Private Places experience, and a glass-enclosed whirlpool bathtub looking out to sea. On decks Four and Five, there are more big changes. Discoveries Bar, which leads into Discoveries Restaurant, the main dining room, has a cool new look with cream and black sofas and smart cushions, while the restaurant has new décor, lighting and table linen, as well as more tables for two and a revamped menu, featuring added options that reflect the cuisine of the region in which the ship is sailing. The Mosaic Café, always popular for coffee and cakes and in the evening, drinks, has a chic, off-white, grey and gold color scheme as well as a new bar in warm wood and marble. The photo gallery has gone digital-only, freeing up display space (although you lose the entertainment of looking at everybody else’s photos), and the casino has a newly decorated bar area which is a nice, buzzy place to sit at night even if you’re not interested in gaming. Too bad the garish art gallery hasn’t been done away with, though. The gorgeous library that is characteristic all eight ships in this series (the two Azamara sisters, four Oceania ships, Fathom’s Adonia and Pacific Princess) remains the same, albeit with new carpeting; because it’s so pretty, with its trompe l’oeil ceiling, it’s used quite a bit for private parties. 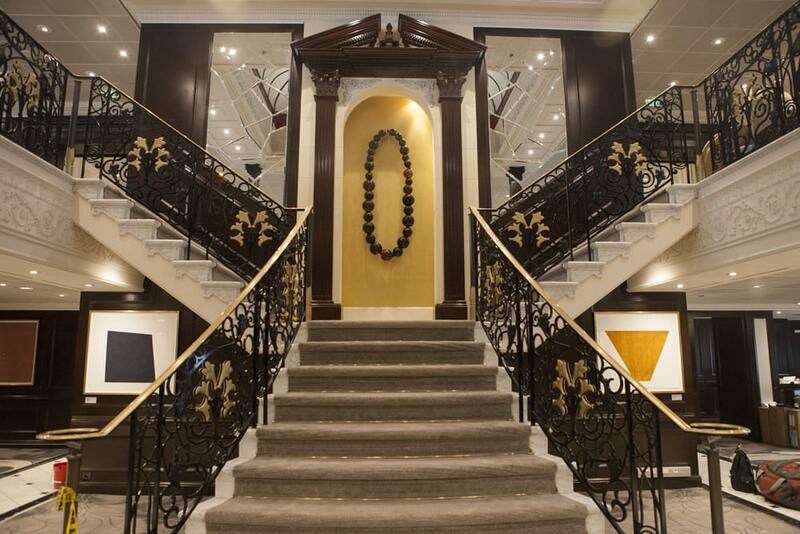 On deck four, the Guest Relations area has been transformed to make it brighter and more welcoming, without losing the elegance of the curved, central staircase, now flanked by mirrors. A new draw of the Land Discoveries booking area is a vast, interactive screen showing off future cruises. 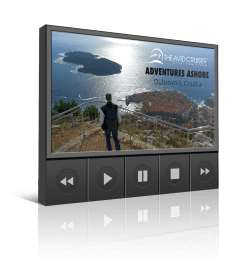 The screen is really only an extension of the Azamara website but there were always people touching it and zooming in on areas of the world. 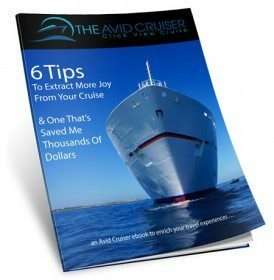 I imagine it will help sway more than a few future cruising decisions for those not already wowed by the ship. 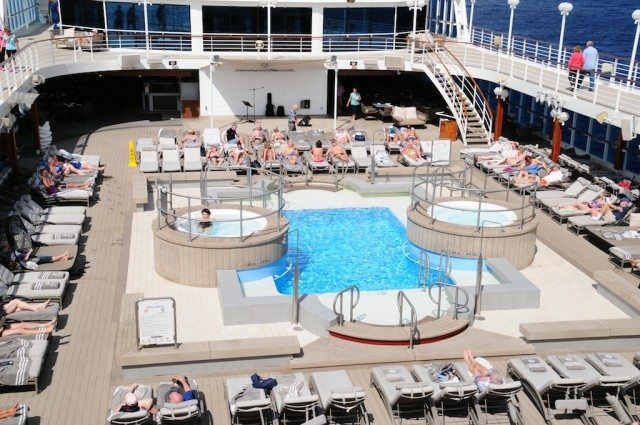 What I loved about Journey is that the ship now seems more in keeping with Azamara’s cool, adventurous image and its slightly younger clientele. It’s not intimidatingly hip; just welcoming and contemporary, with more outdoor living and more freedom on top of the freedom that already comes with all-inclusive drinks and longer stays in port. Just as a ship should be. Great review. Nthanks. We are booked for December. Can’t wait! Great review. Thanks. We are booked for Christmas and New Years. Can’t wait! If the looking glass is the living room, where is the dancing taking place? Booked on West Indies March 10, 2017, anyone out there on this cruise?